This pretty ring was hand fabricated and features 4 beautiful salmon colored Mediterranean coral cabochons. 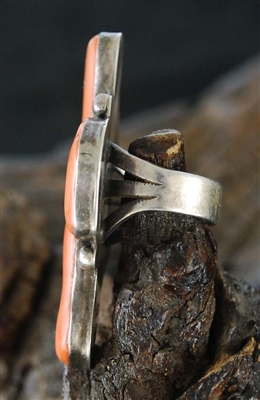 The ring measures 2 1/8" long x 1 3/8"wide. 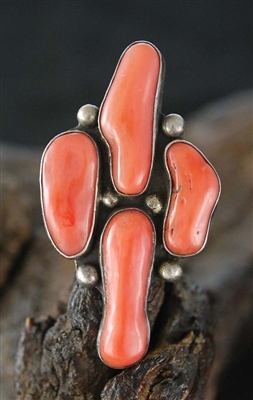 Silver rain drops in a lovely coral setting adds the final touch to this very attractive ring. Ring size 7 1/2 with a nice heavy split shank. Can be sized. 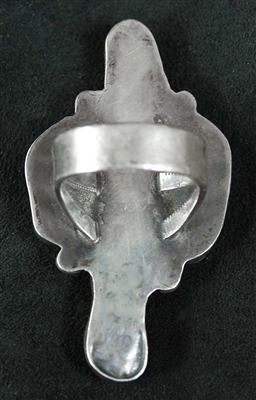 Not hallmarked.